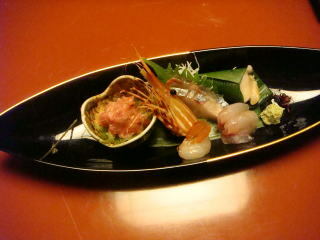 Noto Peninsula is a peninsula that projects north into the Sea of Japan in Ishikawa Prefecture in central Honshu. 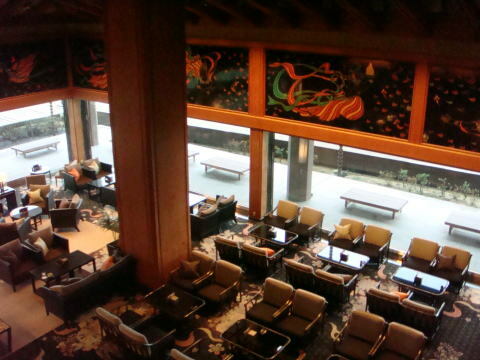 This photography was taken from the guest rooms on the 11th floor of Kagaya, Wakura-Onsen in January, 2015. 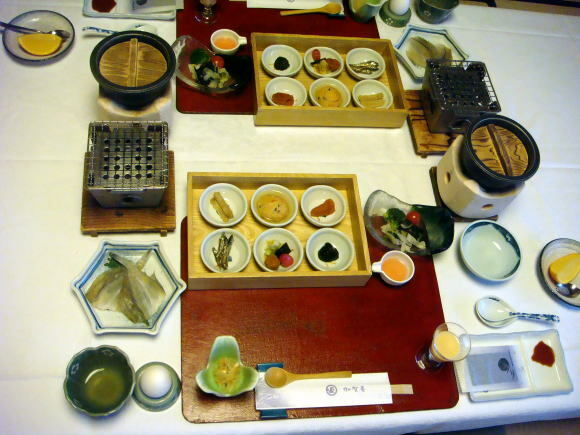 The Kagaya's hospitality policy is well-known throughout Japan. 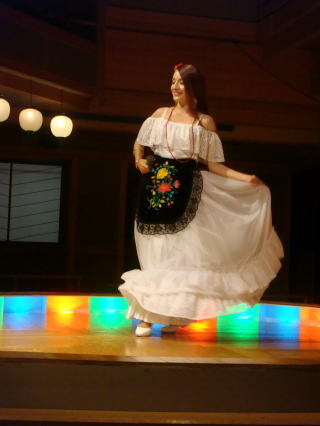 It is located in Noto Peninsula, Ishikawa Prefecture. 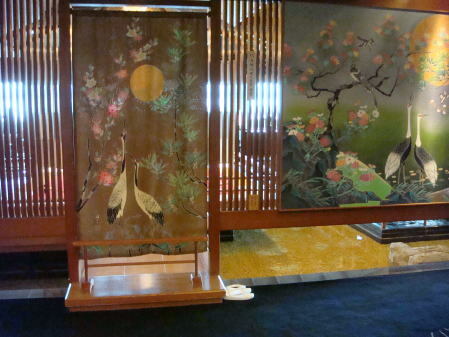 Kagaya Rykan is a modern ryokan and it offers guests family-like friendliness and Japanese-style hospitality. 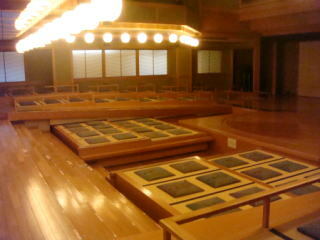 If you want to have experience of true Japanese 'Omotenashi', you would find it at Kagaya Rykan. 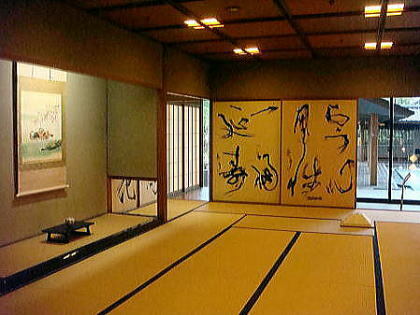 They typically feature tatami-matted floors, where a guest may wear Yukata. 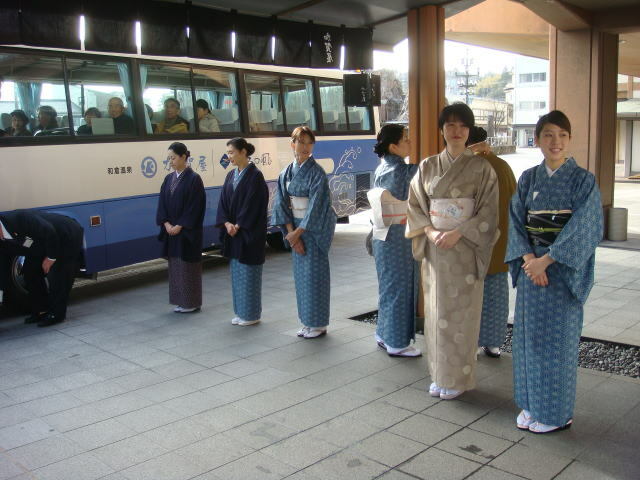 (1) Take Hokuriku shinkansen super-express train to Kanazawa, the change a train to Wakura-Onsen. 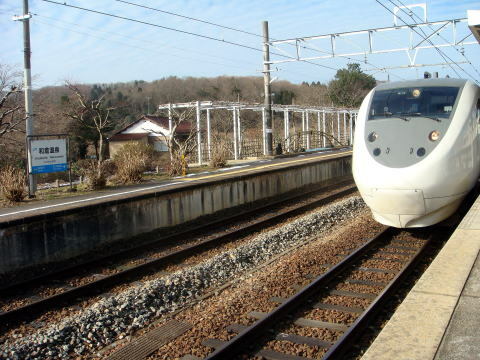 It takes about 150 minutes from Tokyo terminal to Kanazawa station. 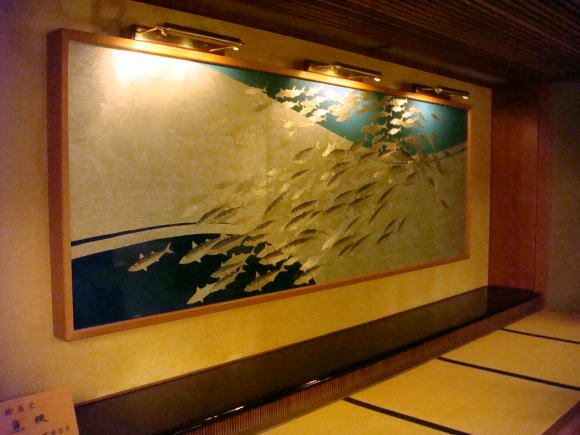 (2) Take airline flight by ANA from Haneda International Airport to Noto Airport. 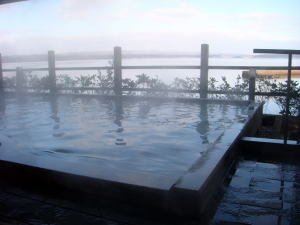 A taxi service is provided from the airport to Wakura-Onsen, by appointment. 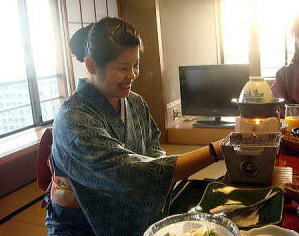 Ryokan's woman staff will welcome a guest in a warm heart. 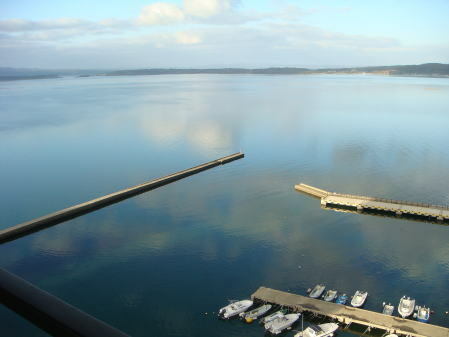 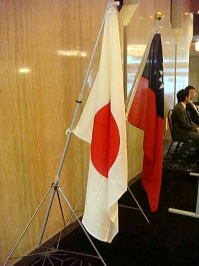 (L) Kagaya in Ishikawa Prefecture, Japan and Radium Kagaya International Hotel in Taipei Taiwan are the sister hotels. 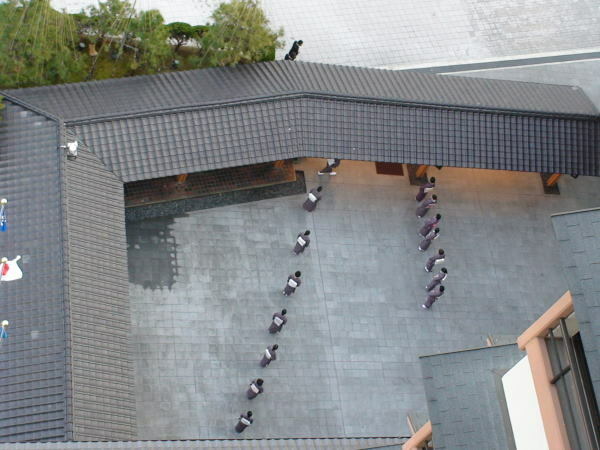 This Twaiwan's hotel is the successor of the Japanese traditional hotel, providing a true hospitality, the heritage of the service sprit. 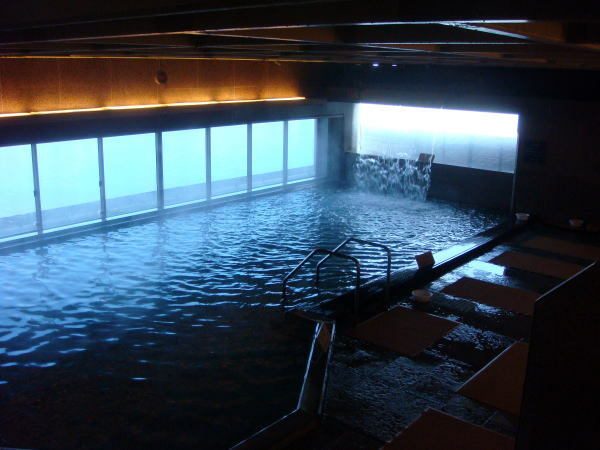 All rooms of this Radium Kagaya International hotel in Taipei are smoke-free. 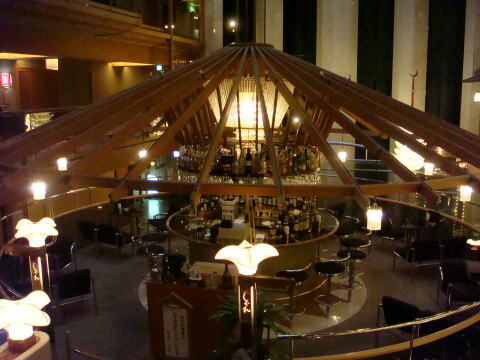 The hotel has received the 2016 TripAdvser Award. 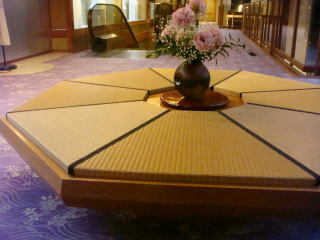 (R) This is one of the traditional 'Omotenashi' supported by women staff, 'nakai' in aligned to welcome visitors to Kagaya Hotel. 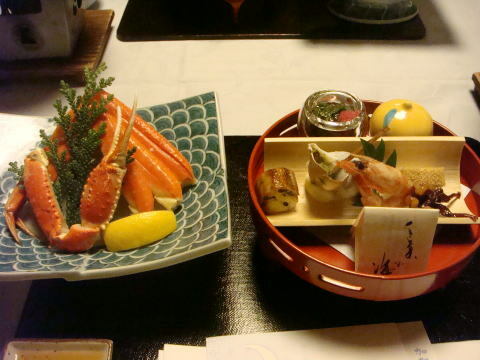 (L) Course dinner dishes (R) The room attendant, nakai-san, is serving a course meal on a Japanse-style low dinning table. 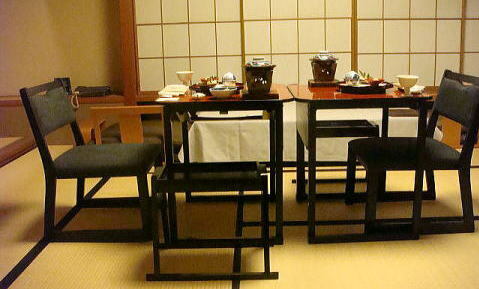 (L) For a guest who is not accustomed to sit on tatami, Kagaya provides a western-style table and chairs. 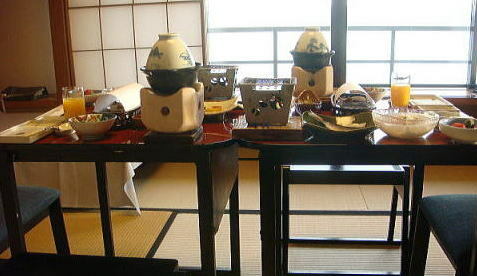 The room attendant, Nakai-san, is put a light on the bisque cooking brassier. 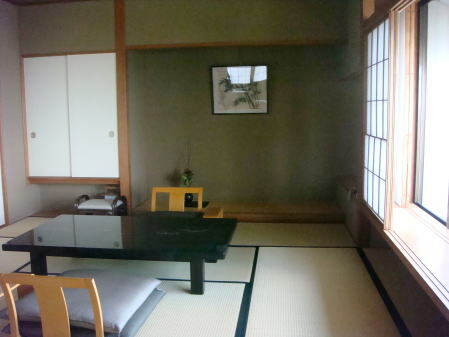 (L) A western-style twin bedroom (R) A Futon is set on the Tatami when a guest goes to sleep. 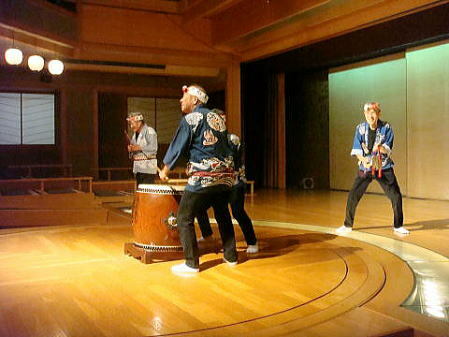 (L) A seat in the Japanese-style playhouse (R) Men in a traditional style hit the drum. 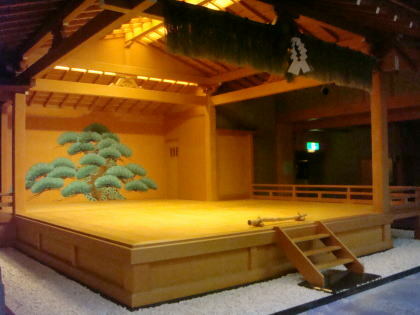 A variety of entertainments are performed on the Japanese style stage with beautiful wood-grain patterns. 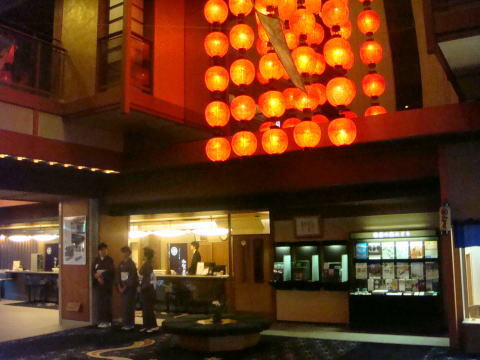 When sitting in the box-seat, you will be excited by the festival mood. 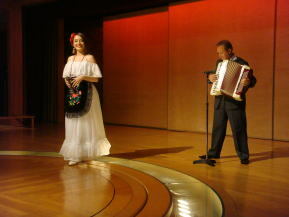 A Mexican dancer is singing and dancing passionately in the playhouse. 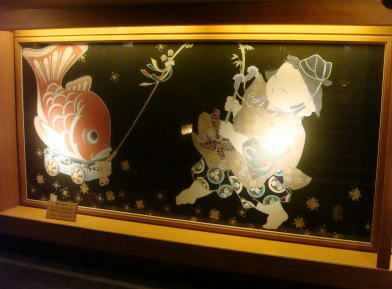 A lot of traditional handicrafts of Ishikawa-Noto are exhibited throughout the whole building. 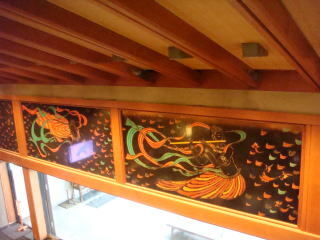 A lounge, Hiten: The display under the ceiling shows Hiten. 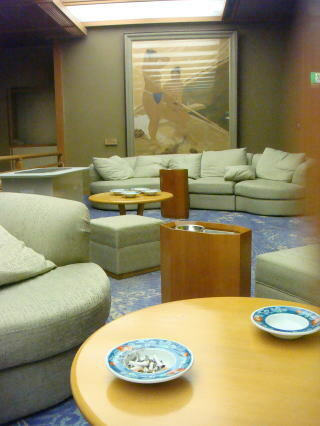 (L) Lounge, Hanaikada (R) Bar, Shigure in the center hall: Smoking is allowed in this bar. 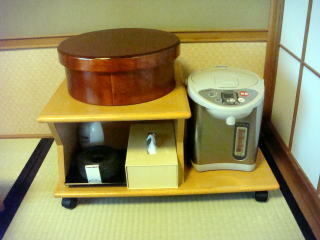 (L) A ryokan guest put their footwear here to keep it for an ultraviolet sterilization. 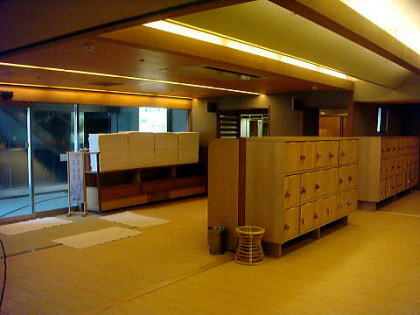 Ebisu Hot-spring: Left picture shows an indoor public bath, right shows an open-Air bath. 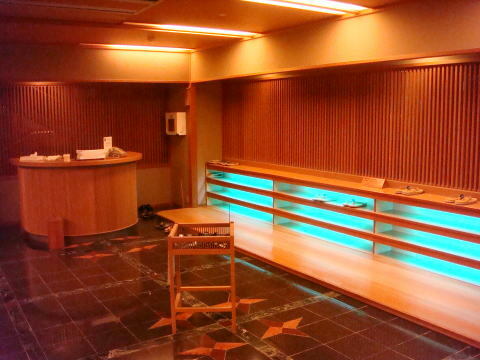 (R) Smoking room: However, there is no wall between the lounge, Hiten and bar next door. 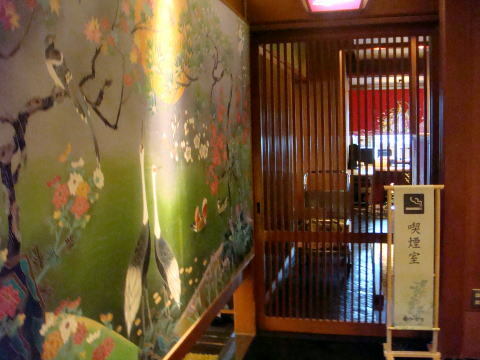 Air cleaner is on the floor in the smoking place; however, it is no use to prevent a cancer-causing harmful side-smoke. 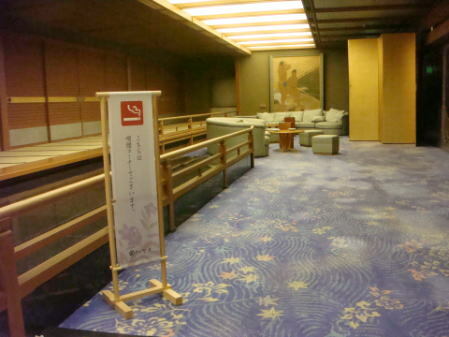 A designated smoking place on the fourth floor: No wall exists between the banquet and convention halls and open ceiling space. 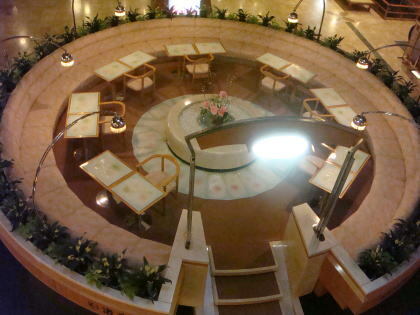 The total number of guest rooms is 232. 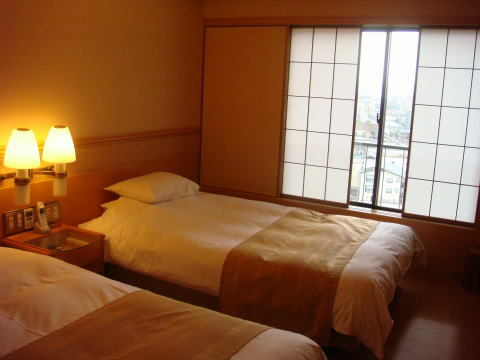 In almost all guest rooms, smoking is allowed, except for a bedside. 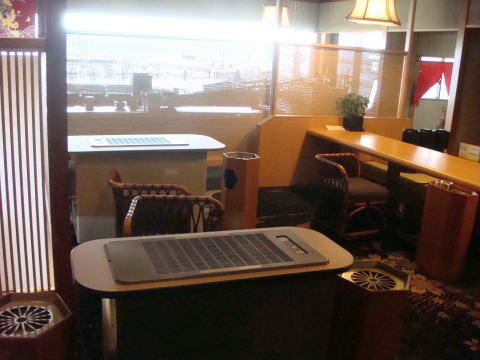 prove that a hotel guest is not exposed to the harmful side-smoke. 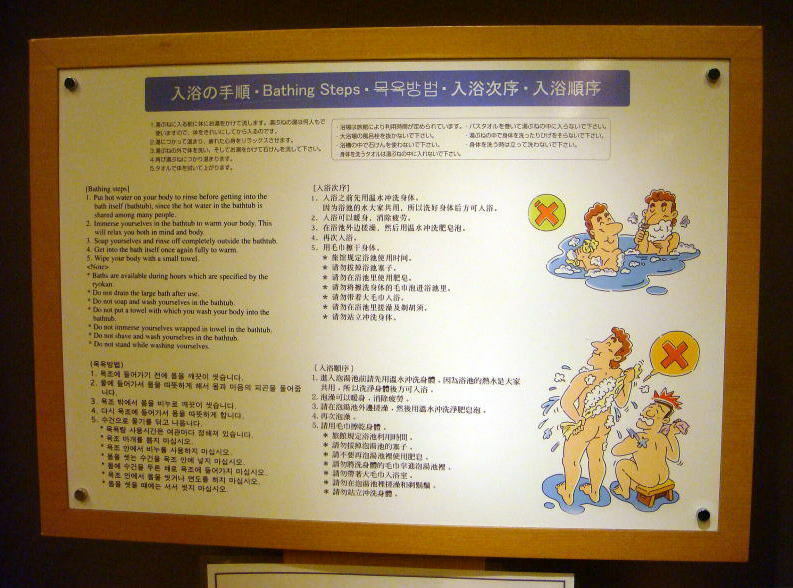 sign, it may be against to the Kagaya's hospitality policy. 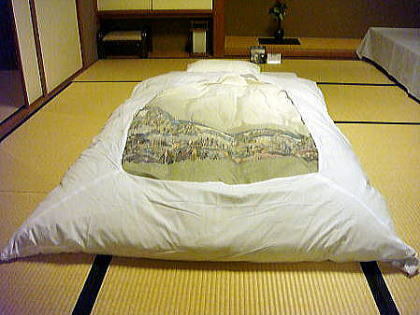 It is desirable that it is an unspoken rule. 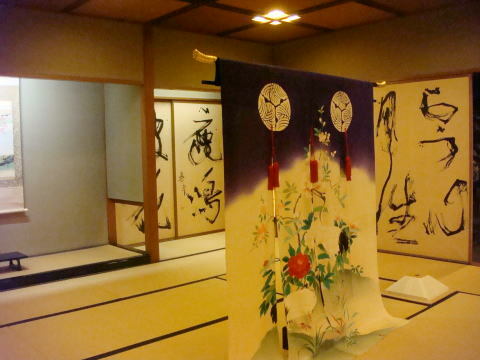 It is hard to find the extraordinary hospitality by an exclusive female servant ( Nakaisan-attendant ) at traditional Kagaya. 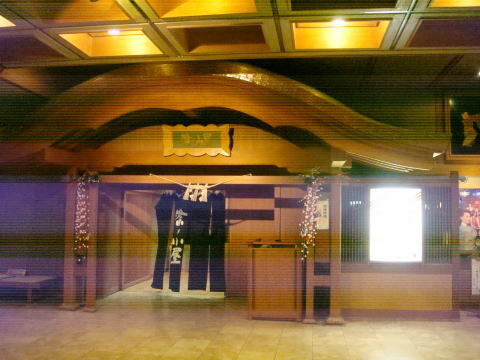 Notohonjin wing only. 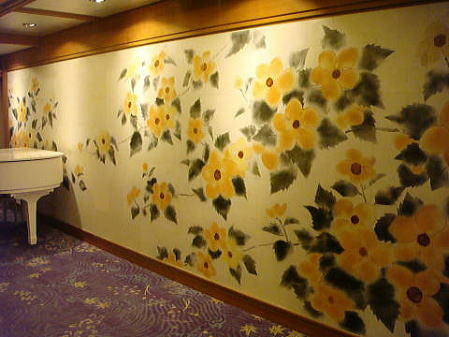 If we desire the non-smoking room other than above, they sprinkle deodorant spray, when necessary. 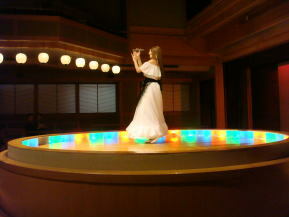 Therefore; from a point of health view, it is very careful to reserve the accommodation in Kagaya. 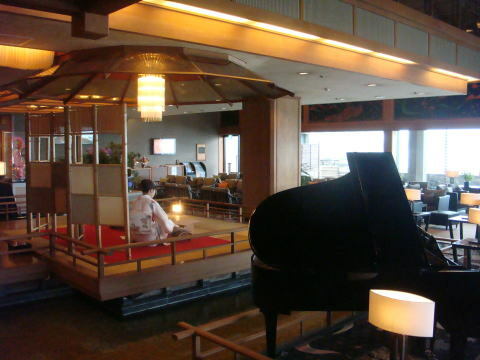 The hotel, Kagaya appears not paying a big attention to the hazard of toxic tobacco smoke. 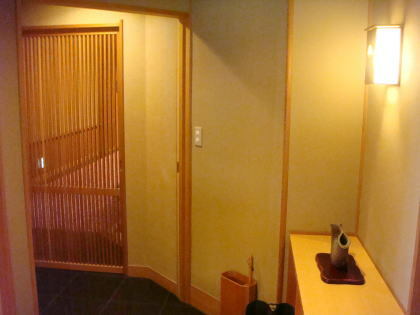 (L) Nakai-san, room attendants are saying 'good bay, see you again' in a row. 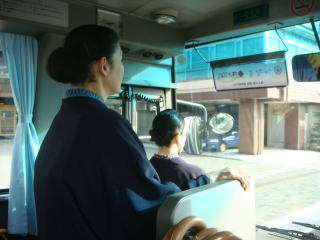 before the departure for the station. 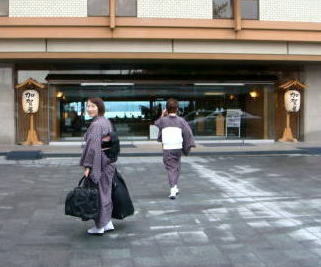 (L) Nakaisan ' room-attendants' are escorting a hotel guest to the station. 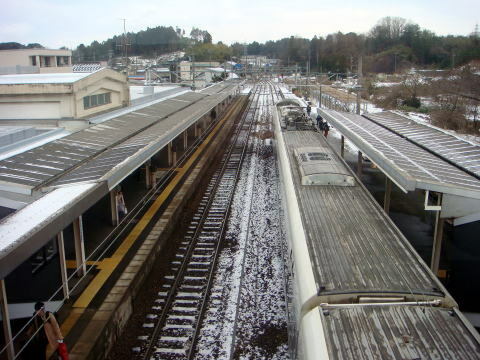 (R) Express train to Kanazawa and Osaka is waiting at the platform of the Wakura-Onsen station. 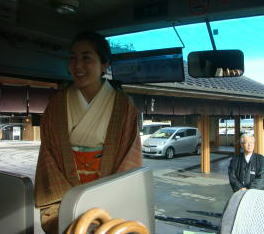 Nakaisan on the platform said good-bye to waving to the hotel guest in the train. 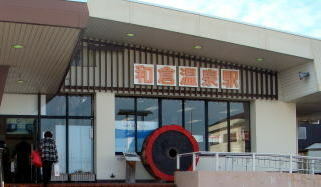 A courtesy car will take a hotel guest of Kagaya to Ae-no-Kaze, a sister hotel of Kagaya, upon request. 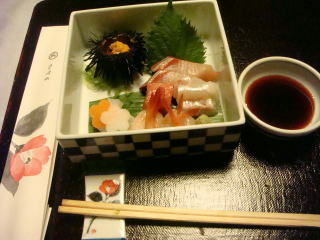 This special express train has been abolished and is not operating at present. 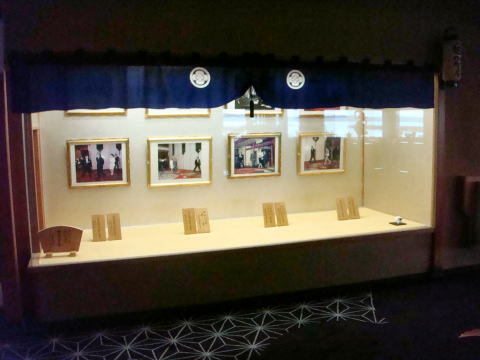 and information was added in September 2016, by Junhaku Miyamoto, M.D., PhD.